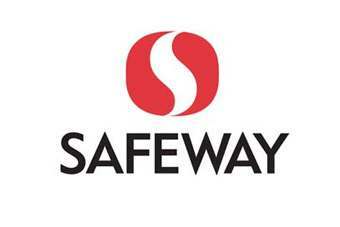 Safeway announced yesterday (29 April) that the company's current president, Robert Edwards, will succeed Steve Burd as chairman and chief executive. Burd is due to retire on 14 May, when Edwards will take up the reigns. Edwards has a strong track record with Safeway. He joined the group in 2004 as EVP and chief financial officer, a role he held until last month. In 2012, he was named president with responsibility for retail operations, marketing, merchandising, corporate brands, manufacturing, distribution and finance functions. The appointment of a Safeway insider suggests the company is largely comfortable with its current direction, as it faces increasingly difficult trading conditions. And it would seem investors concur: shares in the group edged up slightly on the NYSE, climbing to $23.52, after the well-flagged appointment was made public yesterday. For just-food's previous analysis of the challenges facing Safeway's incoming CEO, click here. PLEASANTON, CA -- (Marketwired) -- 04/29/13 -- Safeway Inc. (NYSE: SWY) announced that Robert L. Edwards, currently the company's President, will succeed Steven A. Burd as Chief Executive Officer when Mr. Burd retires as Chairman and Chief Executive Officer on May 14, 2013. Mr. Edwards, 57, will also join the company's Board of Directors. Safeway also announced that T. Gary Rogers, currently the company's Lead Independent Director, will become Non-Executive Chairman upon Mr. Burd's retirement. Mr. Edwards joined Safeway as Executive Vice President and Chief Financial Officer in 2004. In April 2012, he was named President, with overall responsibility for the company's retail operations, marketing, merchandising, corporate brands, manufacturing, distribution and finance functions. He continued as Chief Financial Officer until Peter J. Bocian succeeded him in that role in February 2013. Prior to joining Safeway, Mr. Edwards served as a senior executive at Maxtor Corporation, Imation Corporation and Santa Fe Pacific Corporation. He serves as a director on KKR Financial Holdings, LLC and onBlackhawk Network Holdings, Inc., a subsidiary of Safeway Inc. Mr. Edwards holds a Masters in Business Administration and a Bachelor of Sciences in Accounting from Brigham Young University. "Since he arrived here in 2004, Robert has successfully met every challenge he has faced," said Mr. Burd. "He has demonstrated the ability to lead the company in all facets of its operations, and has earned the respect of the entire organization." Mr. Rogers, 70, has been a member of the company's Board of Directors since March 2011. He is the former Chairman and Chief Executive Officer of Dreyer's Grand Ice Cream, Inc., where he led the development of the nation's largest ice cream company from 1977 to 2007. He later served as Non-Executive Chairman ofLevi Strauss & Co. and of the Federal Reserve Bank of San Francisco. "The Board undertook a thorough search and concluded that Robert is the best candidate to lead Safeway," said Mr. Rogers. "He has the talent and experience that give the Board confidence that he will be a successful CEO."